In our final weeks of our INCREDIBLE Aussie Outback Sabbatical Adventure, I felt like I was regularly in that deep reflective space with the Lord. I was willingly diving into those places in my inmost that we so naturally avoid and I was even more open to the faith risks it would take to begin the deep inner overhaul of my wrong beliefs, brokenness and pride. The word in season I received was, "The old is gone, the new has come (2 Cor 5:17)". I had been meditating on this word the last 2 weeks we were in Australia as we wrapped up the kids school work and soaked in the last bit of time with family. I felt a prompt and little did I know it would rock my world the way that it did. 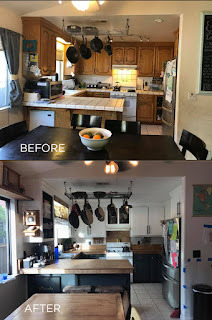 The nudge was to paint the living room and kitchen in the spirit of "newness". The living room walls were gray and white with little kid hand prints along the bottom half of the walls. 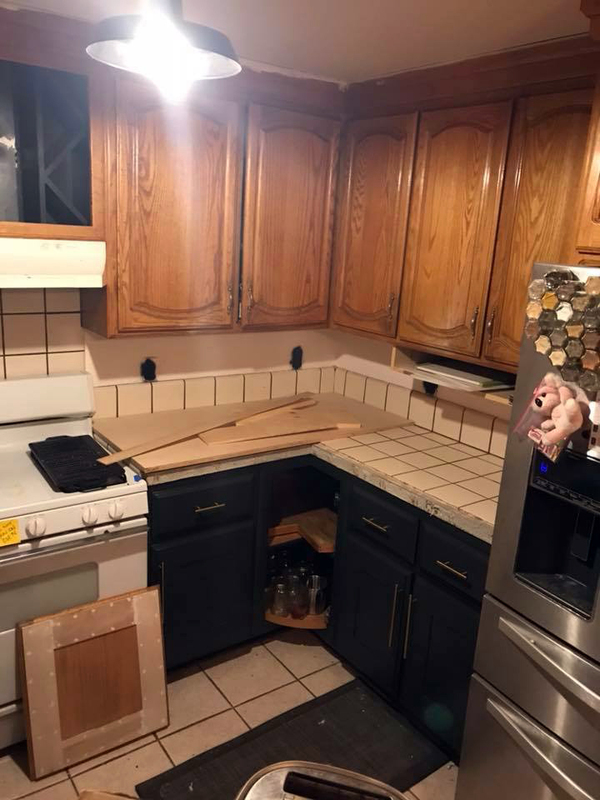 The kitchen was greasy and dirty with oak cabinets. 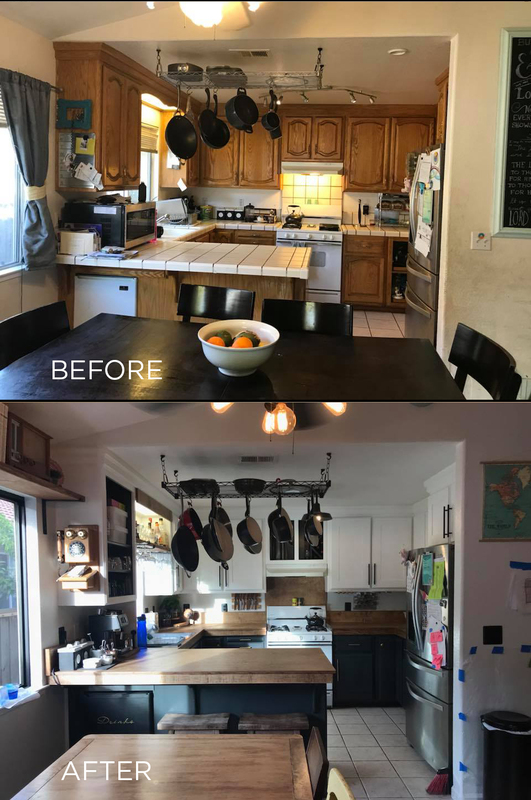 the house felt dark and dirty, no matter how much I tried to clean it. I felt like I was constantly apologizing to guests walking into my home for the mess... it was gross. 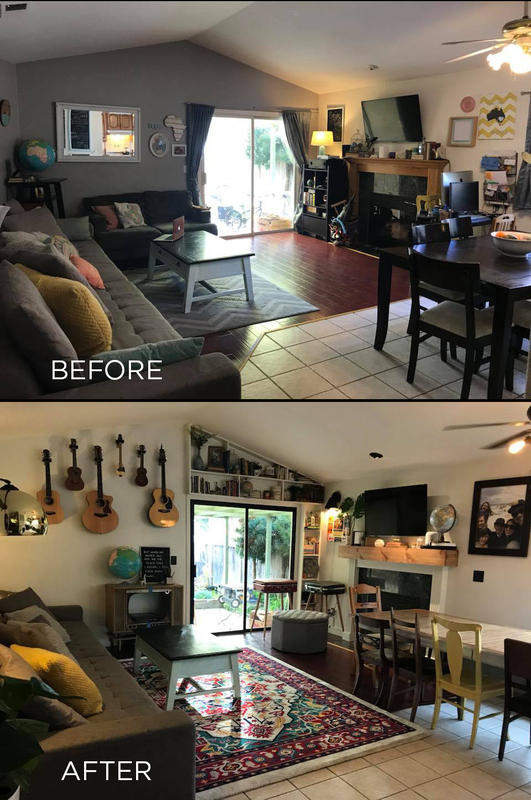 And because we're renters I've not wanted to invest too much into a home that isn't ours BUT this challenge was screaming at me that "THIS IS WHERE WE LIVE! Its a reflection of whats going on in you." So with that, I shared with Luke and he was totally on board. I share a bit with the kids and they were so excited for something "new". It became a family journey. We were all maturing and it was reflecting US. So it began, it stared off with painting the living room, then the entry hall, then the bedroom hall... then the KITCHEN. For those of you who have lived through home renos, you know. I salute you. And we didn't really do a FULL renovation but more of a makeover. But the things it did my heart were far more than I could have expected. If you've ever heard me share about my strengths and weaknesses you'll quickly learn that in my nature I'm #1) responsible, #2) driven and #3) a dictator by nature. If I have a picture of where I'm going, its pretty hard to divert me. Over the years that has softened and I have learned to ask The Lord important questions like TIMING, and especially HOW to get there. I work best solo but I do love involving team from time to time. I have always had the view that we are servants but not in a "slave" type of way. It is that "if you are truly captured by the LOVE OF JESUS... how can you not do the things He's asked us?? Its our LOVE RESPONSE!" I still believe that but it can get twisted into duty and performance over time if you aren't constantly in communion with the Father. It becomes you operating out of your own strength. And its such a subtle step from walking with Him to taking over. Taking over is our autopilot... we ALL do it and its a DAILY challenge. As we were starting to change things up in the house, my husband started to add thoughts and suggestions about some things we could do. 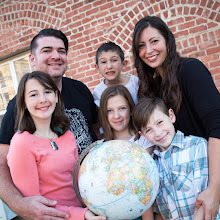 And I graciously listened because this was a "family"
project now... but my challenge was to co-create with my husband.... and this was not in any area... it was MY area, MY domain. It was hard to let go and yes, there were a few squabbles along the way. I was learning a much deeper lesson of co-creating with God. That he doesn't just want my blind obedience but that my voice matters and He's put stuff in me to create with Him. That I don't annoy Him but He delights in me... and that I have good ideas. Of course, I still defer to Him but He wants my input. I am not a slave but a co-creator with Him. What a mind blowing revelation! And what freedom it has brought me as I walking into new things with Him. I never realized how walking in creativity would cause me to question so many things about ME. In the midst of me continuing at a lower pace of work and extending a bit of my Sabbatical, I realized I struggled with my value. Am I just being selfish to explore ideas of creativity? Am I worth the time and effort of others? Questions swirled around me forcing me to face the ugly beliefs about myself. It began to take me on a deeper healing journey. As I was sanding or patching or painting I would ask God how he is making me new and repairing me. I watched as things were exposed, he was making those ugly things into beautiful things. As I watched, an annoying wood knot of my heart was transformed into the beautiful highlight and centerpiece of the restoration. After painting and getting some of the things in place in the living room and hallways, there was still and endless list to be done. Furniture that needs to be restored, pictures that need to be hung, and things that needed to be built. We had been already painting for 2 weeks which was lifetime! We had undergone sickness and a bazillion other things that SLOWED us down. It should have been a 3-4 day job and it went on FOR-EV-ER!!! We were having to continue life in the midst of it all. We had a choice... do we stop here because it would be waaay easier or do we just knock it all out. We chose to keep going. When you have absolutely NO KITCHEN for 2 weeks everything suffers. Your family, your diet/health, and your sanity. When you actually go through this and are LIVING in it, the romance of renovations quickly fade. When you're washing your dishes in the bathroom sink where other business happens all the magic seems to die and everyone quickly gets bent out of shape. On top of that, we were TIRED. So we moved slower. We still had life going on so meetings, proposals, etc still had to get done. The challenge was to stay sweet and undivided. We needed to pull together and lean on Him even more. I really had to learn how to "enjoy the process" which is counter-intuitive to human nature in every way. I had to press in to the Holy Spirit when my body, heart and mind felt too exhausted. I learned to keep asking the questions along the way instead of taking over. I had to learn to rest in the chaos and not be super driven but let things happen. I had to learn to keep living life with my eyes fixed on Him when circumstances try to sideswipe me and when I try to rationalize that this is just a physical project when I knew it was much more. THE END: OR IS IT?? Even though would love to plan it out and stop EVERYTHING to go through each lesson the Lord takes us though... its not realistic. We have to continue to live life through the heart renovation. It may feel and even look ugly, but its starting to look beautiful and in the end... the results will not only be noticeable to you, but to everyone. Looking back, I'm soooo glad we decided to keep going when it felt too hard. Its pretty much done now (of course there are those last bits of furniture restoration, a few pieces to be built, etc). But it makes me reflect on the current state of my heart and my attitude towards God's work in my life. When I get to the place of "do I stop here because it would be way easier or do I just keep going", I hope that I continue to choose the latter. Yes, its hard but I chose the "YES". I pray I always stay teachable and open to His work in my life and, after all of this, the results are beautiful and worth it.